"Unlike many stickers, these stickers were exactly the right size for a Pinewood Derby Car. They went on smoothly and did not need a clear coat to make them adhere. I cut them out with small manicure scissors for more precise edges." The best decals on the market! Get the Flaming COBRA...their hot!! These are vinyl, high quality decal stickers...just cut them out, peel and stick. Unlike many stickers, these stickers were exactly the right size for a Pinewood Derby Car. They went on smoothly and did not need a clear coat to make them adhere. I cut them out with small manicure scissors for more precise edges. 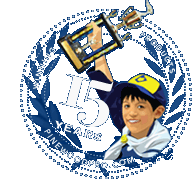 I ordered the pinewood derby decals, They look just like on the website; they are of good quality. Great service and quick delivery!!! Thank you!!! Easy decals to work with much better than dry transfer decals. Decals were easy to apply. The edges had white around them not clear. Worked very well with our car paint and scheme. Just know they are stickers/stick ons not dry rub. Clear backing does not come off. Great set of decals, son loved them. The decal was cool looking and went well with the car. The decal stood on its own and I didn't need anything else to decorate the car with. I put the large one on the top and a smaller one near each rear wheel.